I’ve always loved animals and grew up having a range of pets: hamsters, guinea pigs, fish and a rabbit. I also had two Cavalier King Charles Spaniels when I was growing up. I always had a love for horses and was lucky enough to own my beautiful horse ’Tilly’ for 12 years. 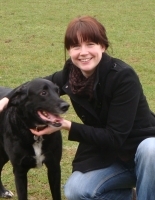 I went into Veterinary Nursing after finishing my A levels and qualified a few years later. After qualifying I got a full time nursing position at a local Veterinary Practice. After leaving full time Veterinary Nursing to have my two children, I returned to work to run their puppy socialisation classes. I live in Bicester with my family, we have two rescue cats and two guinea pigs. Both my children love animals and really enjoy helping care for our pets. I was 14 when I started volunteering at my local Veterinary hospital, and immediately knew it was what I wanted to do. I have always loved animals, and have had a number of pets over the years, growing up with a Border terrier. After finishing school I started a full time job as a trainee nurse and qualified a few years later. I have always worked as Veterinary Nurse, and after leaving my full time position to have my 3 children, I still work part time at a local Veterinary Practice. This includes helping Rachel run the puppy parties. 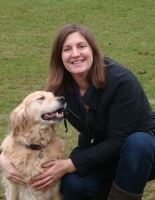 As a pet owner I understand how important they are to you, and how important it is for you to know that they are in safe hands. Its important for me to know that your animals are happy and that we give them the care and attention they need.